For several weeks now, we have been posting sneak peeks here on our blog revealing all the exciting changes the Aurora Polaris ClickHelp update is bringing to the table. In today’s blog, we are giving you an overview of some of those remarkable changes in our product. Get ready for the showdown! This update of ClickHelp incorporates many enhancements of existing features, as well as brand new awesome functionality our clients have been waiting for. One of the main focuses of our development has been the review process. Review comments become more visible and manageable. You’ll be amazed at how efficient your workflow can get! 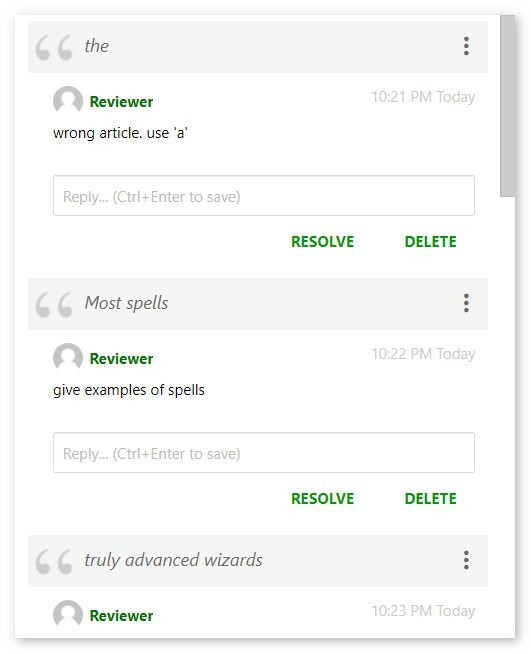 To make the review process even more efficient, we’ve added a complete list of all review comments in the current topic. Even better — the list is available both in the editing and in the reading mode. You can now give links to specific review comments to your teammates, and you’ll get those links from the same review comments list. On top of that, the list will also show you all resolved and deleted comments, in case you ever need to go back in time and check what happened to some of the comments you added before. In this latest update, we have significantly improved the publishing process. 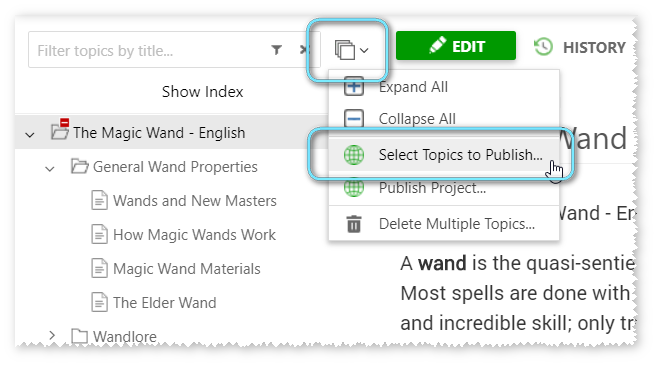 Now, you can publish or update separate topics that you select, instead of the whole documentation project. This means that you no longer have to wait for every single topic to be ready for a technical documentation update — become more agile with ClickHelp, and make your help topics available to readers right as soon as they are finished. This is fantastic news for those creating technical documentation that does not depend on product releases — knowledge bases, policies and procedures, internal docs, FAQs, etc. Also, in case you don’t have the time to finalize all topics before a deadline, now, you can just buy yourself some time to work on the unfinished help topics while publishing all the ready ones. 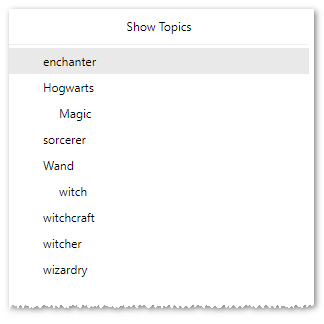 In ClickHelp, you are able to directly influence search results for different help topics using taxonomies. Taxonomies are groups of keywords that are represented hierarchically, and you can assign them to any help topic to make it show up in search results for specific queries. And, of course, this element styles are fully customizable! We always took pride in our unique patented full-text search engine, and, we are happy to inform you that we actually never stopped improving it. 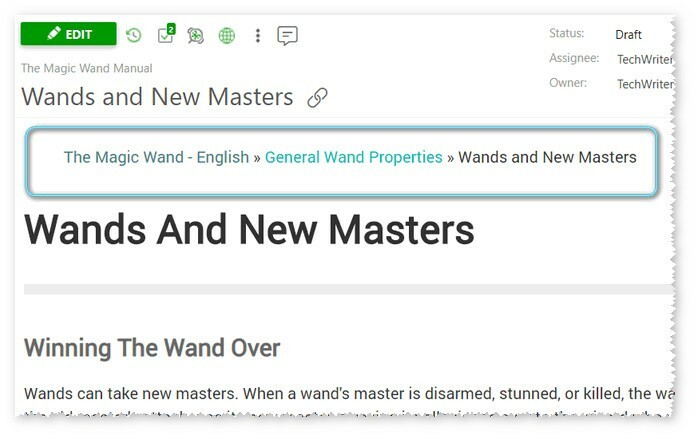 This update features an improved search engine for full-text search — expect the search results within your online documentation portal to be even more precise. When searching, you can now use the asterisk wildcard (for example, searching for “app*” will give you both “apple” and “application”), as well as logical expressions. We have added numerous metrics that can help you analyze many aspects of your user manuals and evaluate team performance. Our team knows what a struggle it can be to figure out metrics to evaluate a user guide quality — there is definitely no unified solution for this. That’s why we have decided to equip you with as many tools for text analysis as possible. Starting with things as simple as word count, syllable count and ending with complex Readability Scores. Just look how many options you now have to set up an awesome workflow for content analysis! Reporting is another way to stay on top of help authoring processes. We have something exciting to tell you about reporting! The new Reader Count report has been implemented in the Aurora Polaris ClickHelp update. This means that you will be able to see the number of unique users who visited your documentation portal during the specific period of time. For logged in Power Readers, you will see how many pages a particular user visited! You can get this info for the entire online documentation portal, or just for a specific user manual. Studying such statistics is crucial in long term planning and documentation improvement! This update is not only about fundamental changes and improvements of functionality. User experience, in general, is always in the center of our attention. So, many little tweaks were involved in this! And, now, you are getting a better looking and even more user-friendly version of ClickHelp. 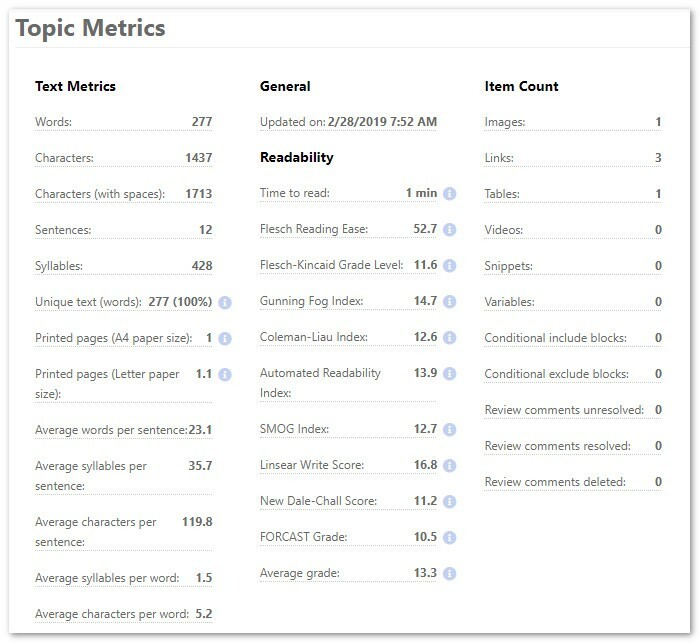 The UI has become more intuitive — improved Table of Contents, metrics in the topic header, easier Home page customization, simpler content reuse and copying. 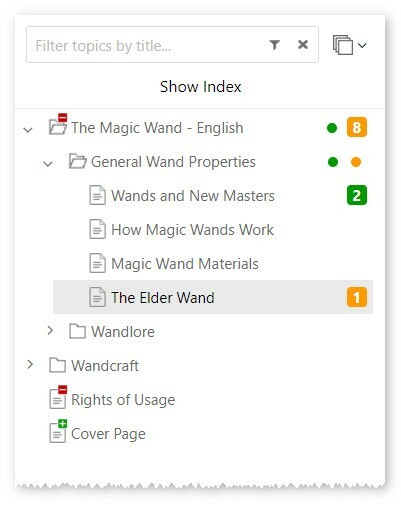 And, just like this title mentions, all the information you need while working in your ClickHelp documentation portal, will be right at your fingertips! 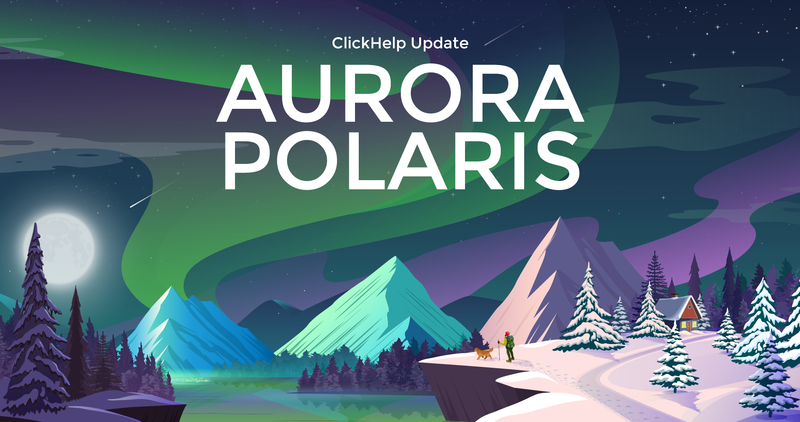 You can find a full list of all changes the Aurora Polaris update brings to ClickHelp here: What’s New in ClickHelp Aurora Polaris. We would like to thank our clients for your trust and attention to detail. You are helping us improve our documentation tool with every update. In our turn, we hope to create a perfect environment for your technical writing process and help you create beautiful and effective documentation. ClickHelp has been one of the first cloud documentation writing tools on the market. We started up with innovation, and this is the path we will keep on following.